Revenue in the Download Games segment amounts to US$949m in 2019. Revenue is expected to show an annual growth rate (CAGR 2019-2023) of 2.8%, resulting in a market volume of US$1,058m by 2023. User penetration is 28.1% in 2019 and is expected to hit 30.5% by 2023. The average revenue per user (ARPU) currently amounts to US$50.46. In global comparison, most revenue is generated in United States (US$4,110m in 2019). Download Games refer to online sales of full version video games for gaming consoles or PCs/laptops via direct download of the installation file and a corresponding product key. Full version video games require an installation on a specific hardware device. Top vendors are Steam, PlayStation Store or Xbox Games Store. Physical video game sales, demo/trial versions and completely free-to-play games are not included. Reading Support Revenue in the Download Games segment amounts to US$949m in 2019. Reading Support The Download Games segment is expected to show a revenue growth of 3.5% in 2020. Reading Support In the Download Games segment, the number of users is expected to amount to 20.9m by 2023. 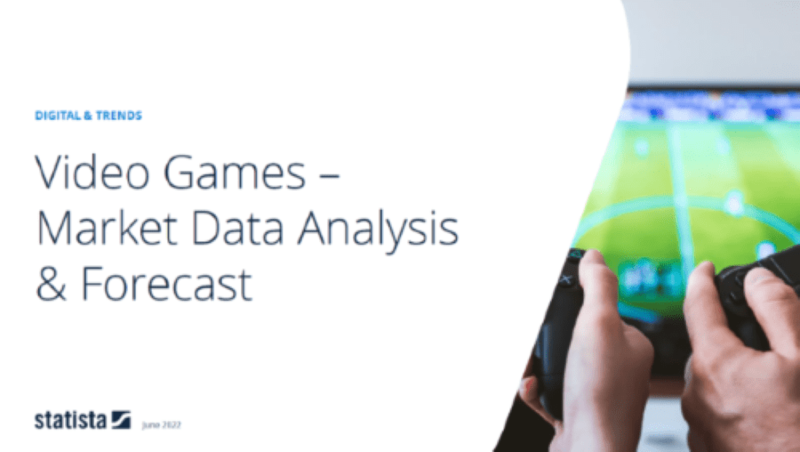 Reading Support User penetration in the Download Games segment is at 28.1% in 2019. Reading Support The average revenue per user (ARPU) in the Download Games segment amounts to US$50.46 in 2019. Reading Support With a market volume of US$4,110m in 2019, most revenue is generated in United States. Reading Support With a rate of 52.1%, the user penetration in the Download Games segment is highest in United States. Here you can find more studies and statistics about "Download Games".